The annus mirabilis of baroque music is 1685, the year in which its three greatest composers and performers – J.S. Bach, George Frederick Handel and Domenico Scarlatti – were all born. This comprehensive guide is packed with historical facts and riveting anecdotes (but for the silver button on his coat which deflected his opponent’s sword, Handel might have been killed in a duel aged 19). Reader Sebastian Comberti is a professional cellist and clearly knows what he’s talking about. Best of all, the text is punctuated with glorious bursts of famous and less well-known sonatas, cantatas, partitas, fugues, concertos and oratorios. Why have I never heard the wonderful aria “Leave Me to Weep” from Handel’s opera Rinaldo before? 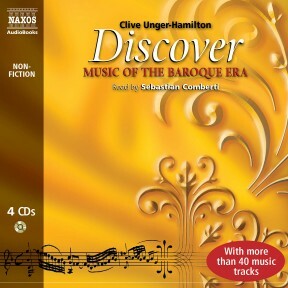 A must for every serious music lover, baroque or otherwise. With 40 tracks illustrating the glory of baroque music, and a narration as lively as Vivaldi’s Spring, this is a delight. 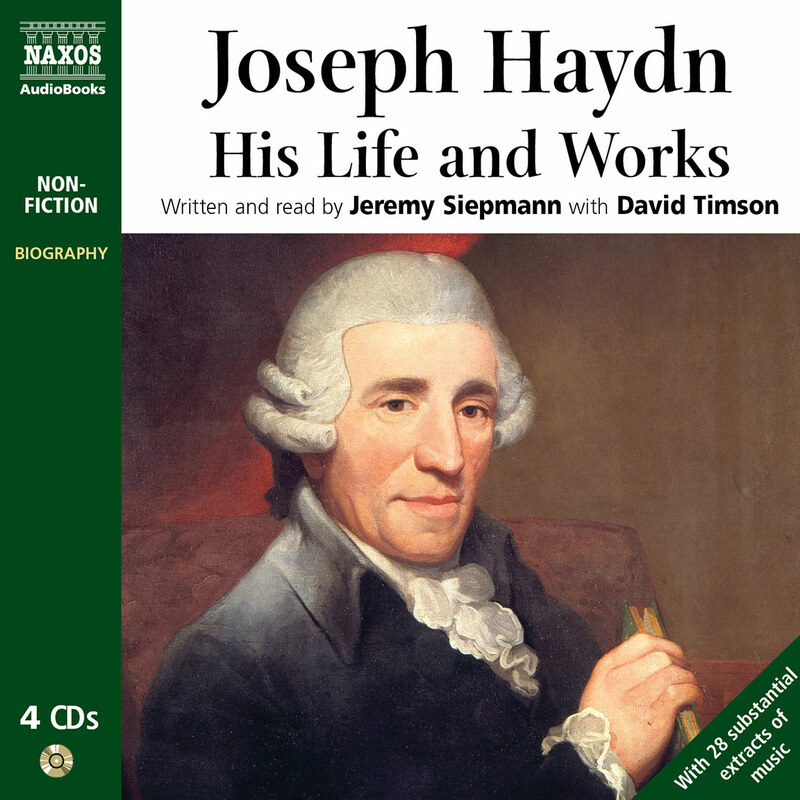 As well as providing details of the composers’ lives, this 2-CD set brings home what it must have been like to hear the music when it was first performed. The perusal of an improving book being one of Jeeves’s customary leisure pursuits, the dignified manservant would probably have enjoyed Clive Unger-Hamilton’s Discover Music of the Baroque Era which combines 40 glorious music tracks with a lively and informative explanation of why the period (roughly 1600 to 1750, the year J.S. 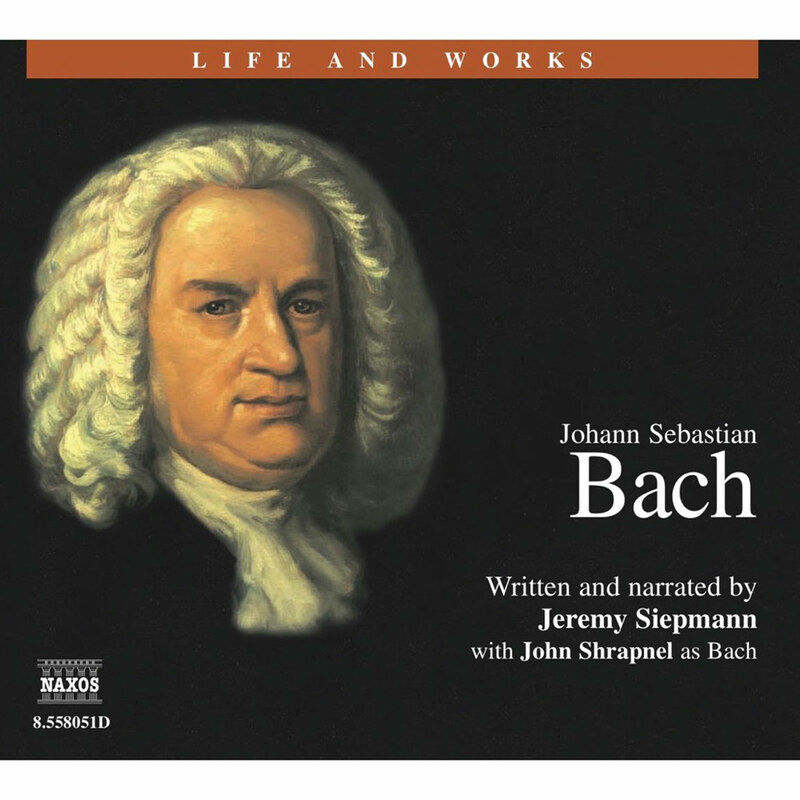 Bach died) can stake an unbeatable claim to be music’s golden age. The first operas were written and performed, and the concerto, sonata and cantata were developed with vitality and brilliance. It is a cultural geography lesson, too, as the Italian peninsula’s musical dominance (with Monteverdi at the pinnacle) is overtaken by superstars from the German states, with the prolific genius of Bach dominating. Enjoy the words, which mix musicology with insights into the musicians’ private lives, then sit back and revel in the music. 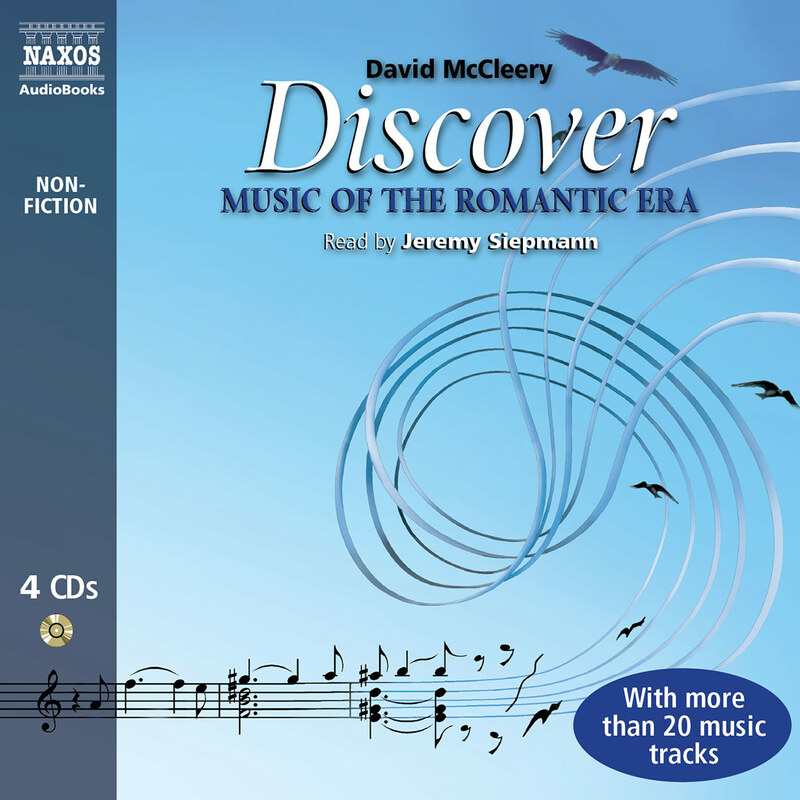 This wonderful audiobook will delight music lovers and will serve as an excellent introduction to the Baroque era for those with no background at all. The bulk of the recording is made up of performances of either entire musical works or entire movements from concertos and symphonies. The amount of text is just right to explain and introduce each piece of music. Unger-Hamilton has the musical background to produce this work and in Comberti, born in London of Italian/German parents and himself a professional musician, the listener will find a the perfect narrator. His pronunciations of the several languages required (French, Italian, German) are impeccable and his knowledge and love for music are apparent. Comberti is a cellist and performs in recitals and with chamber music groups. He founded the Cello Classics recording label which has won international acclaim for its innovative programming. A booklet provides a listing of all the pieces played as well as performers. The calendar is generally a poor guide to history. Only numerically did the year 1900 mark the end of the 19th century. In truly historical terms, the 20th century began in 1914 with the start of the First World War. Nor, where music is concerned, was the Classical era by any means a spent force when the 18th century turned into the 19th on safe ground in assigning the neat boundaries of the years 1600–1750 when it comes to the Baroque. How characteristically tidy of J.S. Bach, the culminating giant of the Baroque era, to die in 1750, thus effectively bringing to a close a 150-year age of unprecedented glory. For many – perhaps today more than ever – the Baroque was and remains the Golden Age of music, characterised by fantastic variety, profound utterance and unbounded vitality and inspiration. 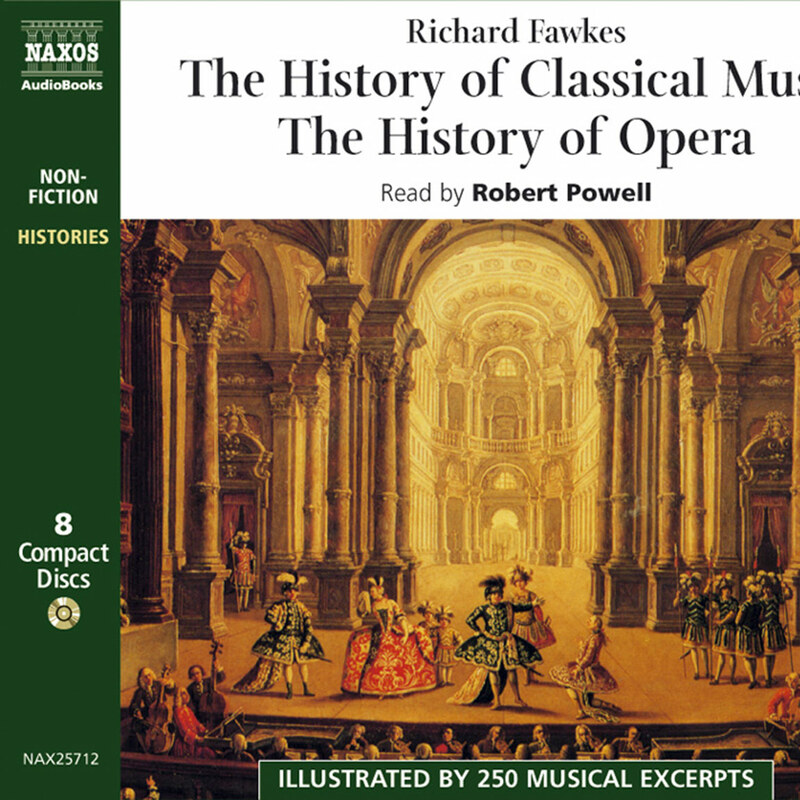 In its century-and-a-half it saw the first great flowering of opera, the rise of orchestration, the advent of the vocal and instrumental virtuoso, the stile concertato, which led to the Baroque concerto, and the primacy of so-called ‘thorough-bass’ (which not only underpinned the Baroque but played a formative role in the birth of the succeeding Classical style). More than any other period, the 17th century contributed to the development and establishment of clearly defined types and forms, such as the ostinato forms, the variations, the suite, the sonata, the da-capo aria, the rondo, the concerto, opera, the oratorio and the cantata. Nor was the profusion of innovation confined to form. Much of the era was dominated by the concept of the thorough-bass – a distinctive texture of two principal contours, melody and bass, filled in by improvised harmonic settings, indicated only by numbers. That said, it was also in the Baroque, and mostly in Germany, that the polyphony of the Renaissance evolved to its highest state of sophistication and power, reaching its peak in the work of J.S. Bach. Other fundamental Baroque conceptions include the highly developed art of improvisation and ornamentation, the epoch-making triumph of tonic and dominant as the principal basis of harmony, and the primacy of the four-bar phrase. Significantly, the era also saw the transfer of musical sovereignty from Italy – which had led the way during the Renaissance – to Germany, a recent cultural backwater that came to dominate western music for more than three centuries. From the three great S’s of the early Baroque (Johann Hermann Schein, Samuel Scheidt and Heinrich Schütz) through Telemann, Handel and the sprawling Bach family, to Haydn, Mozart, Gluck, Beethoven, Schubert, Mendelssohn, Weber and Schumann, on to Liszt (Hungarian born but essentially Germanic), Wagner, Brahms, Bruckner, Mahler and Strauss, and culminating in the twentieth century with Schoenberg, Webern, Berg, Hindemith and Stockhausen, the list is unparalleled in musical history. The transition, however, as Clive Unger-Hamilton makes clear, was far from sudden, and the German ascendancy was more apparent than real. The names of Schein, Scheidt and Schütz may have been German, but the music they wrote, or much of it, was richly Italian. Handel, towards the latter part of the Baroque era, was to become the first great German opera composer, but his operas were Italian, not only in language, but in convention and style. Like Handel (and just as ironically), the Austrian-born Mozart became the greatest living Italian opera composer, long after the sun had set on the Baroque era. But, hardly surprisingly, the first great Italian opera composer was Italian through and through. It falls to few men to dominate the age in which they live, but history leaves no doubt that Claudio Monteverdi (1567–1643) was one of them. He had his distinguished colleagues, even rivals, but he stood alone. To him may be credited, if we simplify a little, not only the birth of great opera, but an extraordinary enrichment of vocal music generally (choral, solo and ensemble, sacred and secular), as well as the concept and early practice of modern orchestration. He was also a pioneer in the use of harmony and the art of word-setting. In striving to express ‘the whole man’, as in much else, he anticipated an age to come. Monteverdi used instrumentation to enhance the music of voices and to enrich the character and emotions being expressed. His slightly older contemporary Giovanni Gabrieli was the first great composer to cultivate the use of instruments for their own sake. Rather than enjoy the instrumental variety employed by Monteverdi, however, he confined himself – with few exceptions – to brass instruments. Yet he wrote for them as though for voices, producing, in effect, polyphonic songs without words. 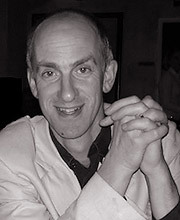 In this, quite apart from their intrinsic musical quality, his compositions herald a trend from the sacred to the secular that stands as a hallmark of the Baroque era – the era of the sonata, the concerto, and solo instrumental repertoire, most notably that of the organ as well as the harpsichord and the clavichord. Of the great founding fathers of the Baroque era, only one was not Italian: but he set a trend. It was primarily in the realm of keyboard music that the Dutchman, Jan Pieterzoon Sweelinck (along with the Italian, Frescobaldi) laid the foundations upon which such later composers as Scheidt, Froberger, Buxtehude, Pachelbel, Kuhnau, Handel and J.S. Bach were to build – every one of them, of course, a German. The predominant orchestral form of the Baroque was undoubtedly the instrumental concerto, arising from a cross-fertilisation of the Italian operatic aria and the instrumental dance suite. Here again the formative influences were Italian: Corelli, Torelli, Tartini, Albinoni, Geminiani, Manfredini, and most influential (and prolific) of all, Vivaldi. And in the great German cities – Dresden, Munich, Brunswick, Hanover, Hamburg and Berlin – the dominant influences remained Italian well into the second decade of the 18th century. In the last third of the era, however, the big names had changed – to Telemann, Handel and Bach, the latter two also dominating the worlds of oratorio, chamber and keyboard music. The Baroque era is commonly said to have ended with the death of Bach and the last compositions of Handel, his exact contemporary. The story of its music, however, which was to resonate through the next two-and-a-half centuries, and which resonates today more than ever, was only beginning.